I didn't build the physical version yet, because I am not sure that such a system would work without burning anything. 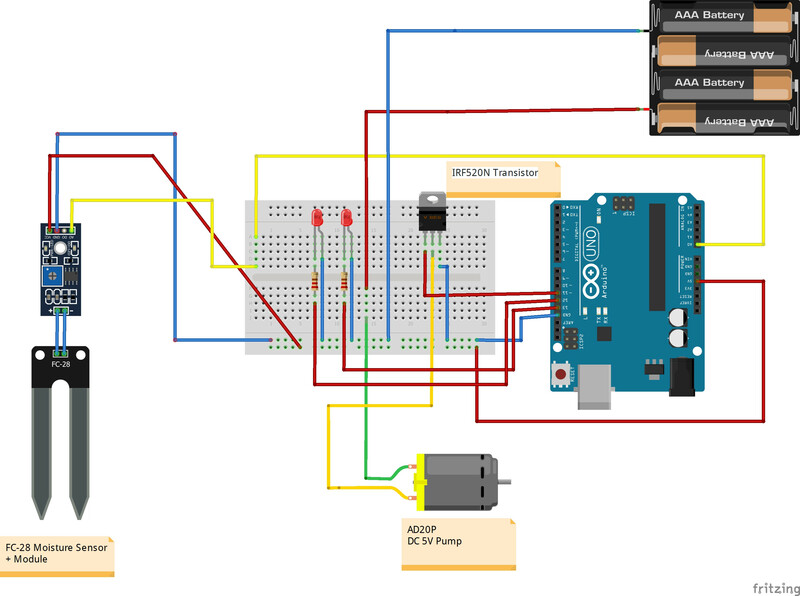 In many examples, people connect the pump to a Relay Module, but since I don't have it yet, I would like to build it like this until I set up the watering system. Can anyone help me understand why a relay would make it better or worse? P.S. I have a JPC-3F relay, but I can see that the Relay Module contains multiple components. Is it possible to add the JPC relay to the pump without having the entire Relay Module? Would I need extra components for that? EDIT: Thanks to the answer from ratchet freak, I have added resistances and a transistor. It works fine, but the same question stands. Do I still need a relay in this case? You should put a resistor in series with the led to limit the current. The IO pins cannot source enough current to run the pump without damaging themselves. That's why you need a buffer of some kind. The extra components in the relay module are a transistor to do the actual switching and a reverse-biased flyback schottky diode in parallel with the relay coil. The flyback diode is required to absorb the voltage spike generated by the coil getting switched off and acting like an inductor. You can use a transistor to switch the motor directly assuming you can find one that can handle the current draw. If you do then you absolutely will need a flyback diode on the motor to avoid damage to the transistor. The relay have a coil resistance of 70 ohm for the 5 Volt version. I = U/R = 0.071 Ampere, and now you have to find out, can an Arduino I/O pin drive a load of 71 mA? If not you have to add a driver aka most commonly a transistor. And now you should ask yourself, can I drive the motor directly with a transistor driver and skip the relay? So do you have any data on the pump? And if you look at the datasheet for IRF520, fig 3 and fig 4 have the data for planning if it will work or not. 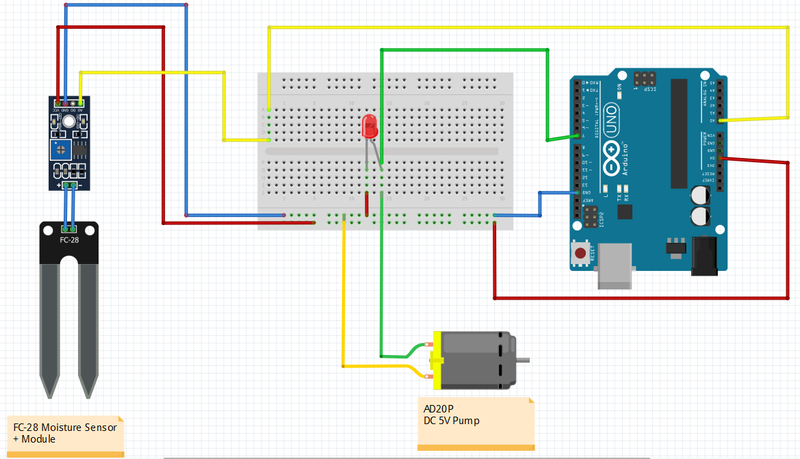 Arduino Uno's RX and TX lights not blinking. Unable to upload sketches! How to use relay shield to control dc motor speed and direction?